A live performance of an extract from a new people's opera in collaboration with Bexhill and Hastings residents. 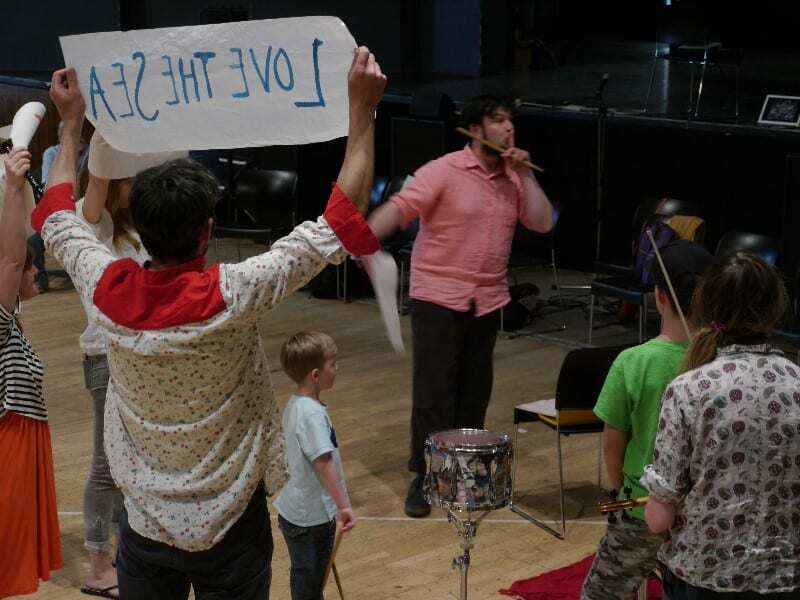 BLOOM BRITANNIA, Barefoot Opera’s new ‘people’s opera’ – inspired by and involving people in Bexhill, Hastings and St. Leonards – began development in 2018, with a vibrant research and development project, involving more than 25 workshops across the towns. Taking a satirical look at what Britain might feel like in the future, Bloom Britannia centres on a fictional regeneration competition on the South Coast, specifically on the day the winning town is to be decided. The composer and lyricist have written an extract of the opera to be performed with local people and professional singers and musicians in front of an invited audience at the De La Warr Pavilion, with the full finished opera to be performed in 2020. Want to sing in the chorus or have a solo? Workshops, rehearsals and other events are taking place in March and April 2019, in Bexhill, Hastings and St. Leonards all building towards the performance.